A few weeks back one of my readers commented on a post that she has always wondered about my kids' history and I replied that I keep their stories private. Ever since I posted that reply I've worried that perhaps I sounded a bit harsh so I decided that I want to explain a bit further. 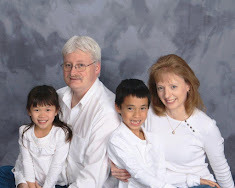 I have a personal/family/adoption blog that I started back in 2006 while we were waiting to bring our children home. I had never blogged before but it became a great way to connect with other adoptive parents, those who had already brought their child (ren) home and those still waiting. It was a place for me to get things out during the long months and years and through other adoptive parent bloggers, I learned so, so much. And while I wrote about a lot of things there, one thing I always kept the same was referring to my kids by their nicknames only and never revealing exactly where we live. Some parents are fine with revealing those thing; I never was. Once Jammer was in our arms, I really enjoyed posting about his adventures. Back then it was still a world of just other adoptive families and since so many others shared with me I wanted to do the same and share back. That blog reveals (to a point) a lot of raw emotions, from the moment Jammer was placed in my arms to the intense struggles we had with our original agency near the end that almost cost us our China adoption to the joy of Sunshine finally being our daughter, our first couple of years with her home and us a family of four. Honestly I haven't posted there in a long time, almost a year now. I took that blog private a while back when I started to get really involved with the quilt blog community. For a reason that I can't explain, I started becoming uncomfortable with having that blog public and so much of my family life available for anyone and everyone to see. I have no idea where my quilting journey will lead me in the future and I felt the need to not have that blog accessible to the entire world. Besides vast majority of those in the adoption community that I shared my blog with no longer blog themselves. Everyone is over on Facebook and I'm not really a FB fan. Will I ever post there again? I really don't know. I haven't even looked at that blog for a long time. The one thing I do know is that at some point I will print it out into a book for each of my kids to have forever. The biggest reason for changing my view and practice regarding my personal blog is the fact that while the journey to bring my children home is my story, the details about their beginnings before they became my children are their stories and it should be their decision, not mine, what they choose to share with others. Since they are still very young, it is my job right now to protect their stories and thus the need to take that blog private and be very selective about what I share with the online world. 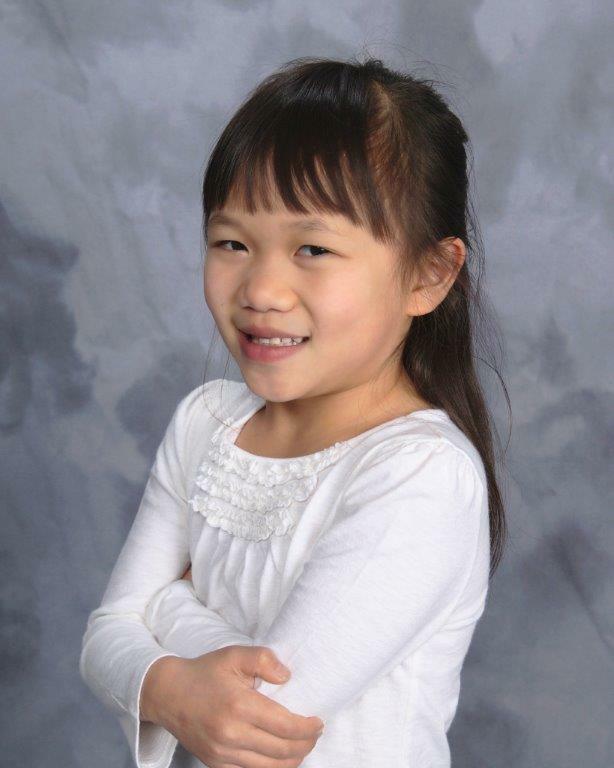 Every adoptive child has a unique story about their beginnings, before they came to their forever families. As they get older, it is up to them to figure out for themselves how to deal with that information. No one can do that for them. Some of the details can be harsh and difficult and each adoptee has to work through it in a way that works for them. The connected world gets more and more intense and invasive every day and since no one knows what will happen in the future with the information that is posted online, I felt the need to protect their stories and keep the entire world from knowing every minute detail of their lives before we met. So I hope that you all understand and will forgive me for not being more forthcoming about my kids. Those that don't, oh well. I will always shout from the rooftops that adoption is a wonderful way to build and grow a family. I will never stop believing that every single child deserves a forever family. If someone wants to learn more about adoption and how to go about it, I would be more than happy to share what I know and what I have learned over the years. 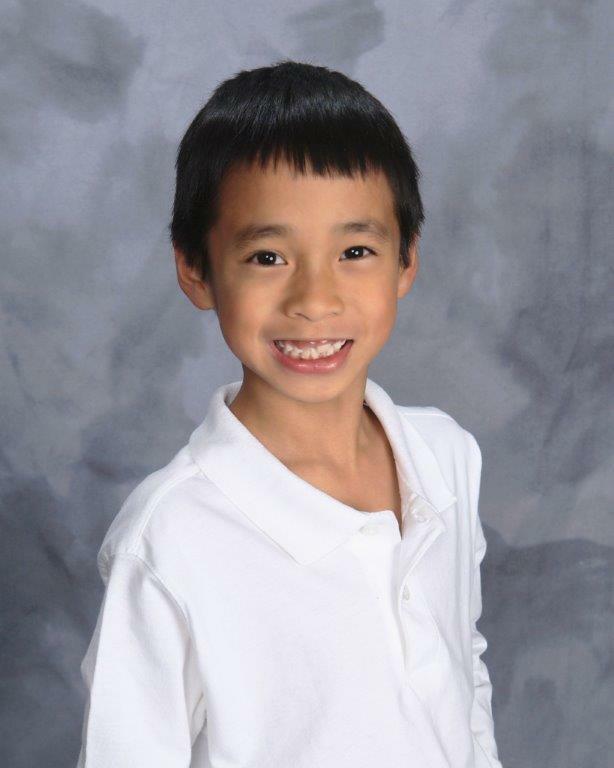 Will I always be looking to make connections with other adoptive families and especially those with kids from Vietnam and/or China? Absolutely. But will I ever reveal here intimate details about my children, where they come from and how they came to be adopted in the first place? Nope. As I said, those are their stories, for them to tell or not, when they are ready. Until then, it is my job to protect them and to guide them as they travel their own journeys through life. I commend you for taking this stand, I see too often (esp on FB) details about my friends kids that I realy don't need and think, when they get older how will this impact them. I don't have kids of my own but many through my job and know that keeping them safe is most important. I have had to talk to several of them about the things that they share online and families share online for this very reason. NO need to apologize. Ever. My kids are a bit (HA!) older now and whatever I have shared of them whether it is a picture or information has been with their blessings. I am fiercely protective of their privacy. I honestly don't think it matters if they arrive at birth, one month old, 2 years old, 10 years old. Protecting them on every level is our job. While I am sure the person who asked was just being curious (as we all tend to be, so understandable). I have ALWAYS felt that the world does not have a "right" to know. Kudos to you for being among the parents who doesn't think they need to share their kids with the social media world. I could go on and on about this one, LOL. Yes Rachel I know that the person was just curious and I don't fault her at all for being so but I also didn't want it to sound like I was being rude in my reply. Hence the entire reason for this post. I may share a picture or two once in a while and a tiny tidbit about my kidlets but for the most part, that will be rare. And for those that might wonder and I don't mind telling, Jammer is from Ho Chi Minh City (Saigon), Vietnam and we adopted him at 5 months old and Sunshine is from Jiangxi Province, China and we adopted her at 15 months old. You are to be commended! I am amazed by some of the info that parents share about their children. I don't even use my real name on my blog, and if I want to post a picture of someone else, I always ask their permission. When I first started blogging, I was worried about a snow picture that I took, because my car tags were visible! Your children certainly deserve privacy. You are so right, don't post anything that you don't want the whole world to know, that goes for blogging, Facebook, twitter, or whatever other social medial you use. We all rejoice in your happiness and don't need to know the finer details! Have a wonderful day. I'm sorry, but, if we want our private lives to remain private, then the responsibility begins with ourselves. Once we post photos, we are public. We are our own paparazzi. Posting photos publicly invites curiosity. If you don't want people asking personal questions, then don't post personal photos. If you continue to post photos and make people curious, you're going to get more questions and curiosity and people are not going to go looking for this post first before asking you questions. Curiosity is human nature. To stop people being curious about your children, stop posting their photos and writing bits about them. If someone really wants to find out where you are, and if they know anything about how computers work, they'll find you. When we create internet accounts, we leave a trail. Annie, I respect your opinion but I don't think posting a photo every once in a while invites a huge barrage of questions. I never hide the fact that I'm an adoptive parent, in fact I am very proud of that but it also doesn't mean that I'll reveal all the details about their beginnings. Just because someone asks a question doesn't mean that I have to answer it. In person people ask me questions all the time and I have no problem telling them that it isn't information that I share. And of course we leave a trail online but that also doesn't mean that I need to be open about where I live. If someone wants to find me bad enough, they will but I think the vast majority of people have much better things to do with their time. Exactly, Marlene. Just don't answer the questions. But don't whine about privacy in a post when you made what you want privite, public. Annie I'm certainly not whining by any means. With this post I just wanted my readers to know why I don't and won't post most details about my kids ever. I see nothing wrong with that and evidently neither do many others. There is a lot more information on other blogs about people's kids but each person has to decide for themselves how much they want to share and how much they don't. I am in full agreement. Curiosity of a casual reader is understood, but no one is obligated to satisfy that curiosity. You are not whining, and everyone (almost), knows that. Thankfully, there are only a few people who feel entitled to the details of your life. That's probably because they lack awareness of internet etiquette and have nothing more devious on their mind. A photo from time to time, a vacation shot, one should be able to post those without needing to provide further explanation. Your posts have just the right amount of sharing to make a reader feel more connected to you without violating the privacy or future of your family. But on the flip side, (not your blog,) we have all seen, read or heard of ignorant posts that have come back to haunt the innocent. 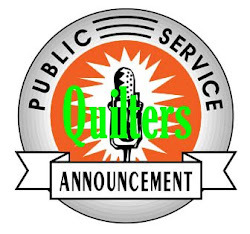 Once in a while, I will visit a quilting blog and after reading a post, I'll wince! The argument that "I'm an open person, and my blog is my place to share my feelings," doesn't take into consideration that the blogger just openly disrespected her husband, whose paycheck pays her bills, and the daughter-in-law whose house is now internationally reported to be a mess will now decide whether her kids will continue to visit with vindictive Grandma. My son is grown and my daughter is now in high school. Colleges and employers google prospective students and applicants all the time and use that information to shape their decisions. I always keep that in mind when I am tempted to share a comment or a story about them. Just a few weeks ago, my project manager decided to google my name and found my blog, then asked me about it during a meeting. You can imagine how grateful I was that I didn't use my blog as a forum to vent! With the exception, of course of transmission repairs. . . . .